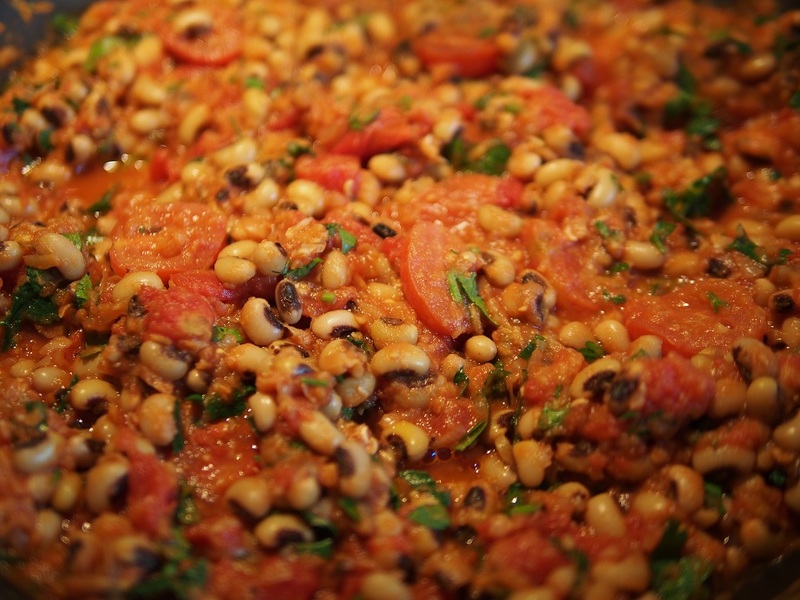 Black-Eyed Pea is a legume and it should be called Black-Eyed Bean. That could help with the references to ‘The Black Eyed Pea’ which is an American Hip-Hop Band. It seems Black Eyed Beans are used everywhere, according to Wikkipedia traditionally in Southern America, Brasil, Columbia, West Africa, Carribbean, Indonesia, Vietnam, India, Turkey, Greece, Cyprus, and Portugal. Amylose is an important form of the resistant starch and it is insoluble in water. Foods high in amylose are digested more slowly. They’re less likely to spike blood glucose or insulin. Amylopectin is a soluble starch. It’s broken down quickly, which means it produces a larger rise in blood sugar (glucose) and subsequently, a large rise in insulin. 1. Soak the beans overnight if cooking in the morning or during the day for the evening meal. The beans will increase in size 2-3 times. For fresh bean this should take about 6-7 hours. 2. Drain and put the soaked beans into 5lt pot with 2lt of cold water. Once brought to a boil simmer for 10 minutes and set aside for 1 hour (if needed the beans can be left for as long as the water is hot. Then the beans need to be drained). 3. In the meantime, peel the onions and dice finely. Also coarsely dice tomatoes (alternatively use 2 cans of Italian Diced Tomatoes). 4. Heat large 30 cm wok with oil and cook onions and garlic for a few minutes. 5. Add drained beans and the vegetable stock. Cook until beans are soft. 6. Add diced tomatoes and all spices. Mix using a large spoon and simmer for 5 minutes on low heat. 7. Add chopped fresh coriander leaves (alternatively Parsley) and fresh lemon juice, if needed add salt and pepper. Mix well and switch off the stove. For vegetarian dish serve with your favourite salad. Also can be served with grilled fish or chicken. 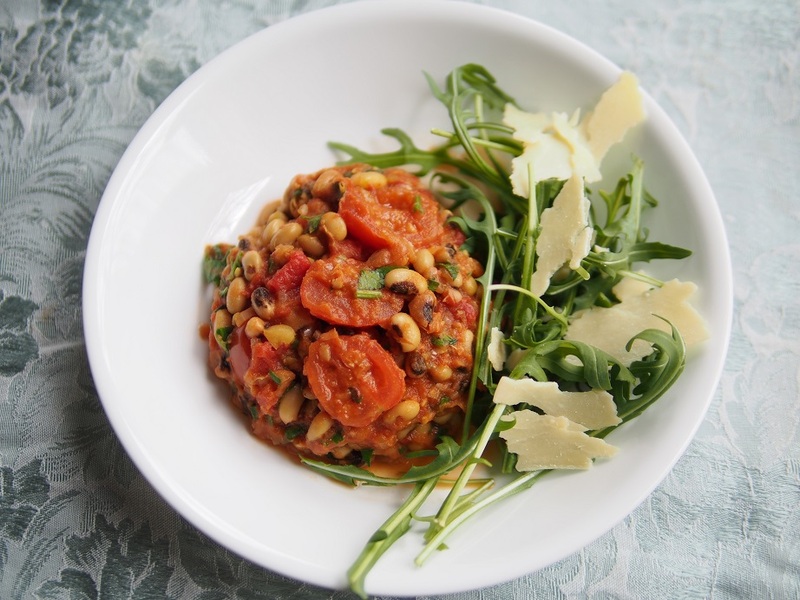 ← Red Lentil Soup Recipe.